I have been preparing the music for my assigned role in Purcell's The Fairy Queen for quite some time. But I am also researching the opera itself. When I learn any piece of music, I want to know everything that goes with it. If I know the history, and underlying meanings of a show, I perform with more sincerity. I look forward to bringing my understanding of this opera through my singing. My first experience of Opera NUOVA began when I was 17 years old. I did the ten day intensive program. Through talking to undergrad and graduate singers I was able decide what school I wanted to go to for my own undergrad. Opera NUOVA lets you meet music peers and incredible instructors. I specifically am interested in Opera NUOVA this year because I have the tools from my undergrad to fully appreciate and absorb the information I will be receiving and this will also help me to prepare for my next steps into further education. Amanda completed her undergraduate degree at the University of Alberta during which she performed at the Winspear Centre as a featured soloist for the University of Alberta's Concert Choir, Symphonic Wind Ensemble and Symphony Orchestra. Amanda was also asked to be a featured soloist for the Chamber Music Society’s summer festival in June 2016. 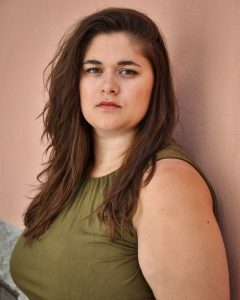 In August 2018 she completed the COSI Summer Program (Centre of Opera Studies in Italy) where she performed the role of the Monitress in Puccini's Suor Angelica. Most recently, Amanda has been studying opera in Salzburg and London England. Currently, she is contracted with the Edmonton Opera Chorus and is preparing for further education in the United Kingdom.